As the most searched term on Google this year, Pokemon Go brings us lots of fun. In Pokemon Go, we have many goals to achieve, but one of the most obvious is the collecting of rare Pokemon. As the higher your trainer level, the higher your chances of finding rare Pokemon become, and in many cases, rarer Pokemon tend to be the best in Pokemon Go, with higher base stats that give them the advantage. 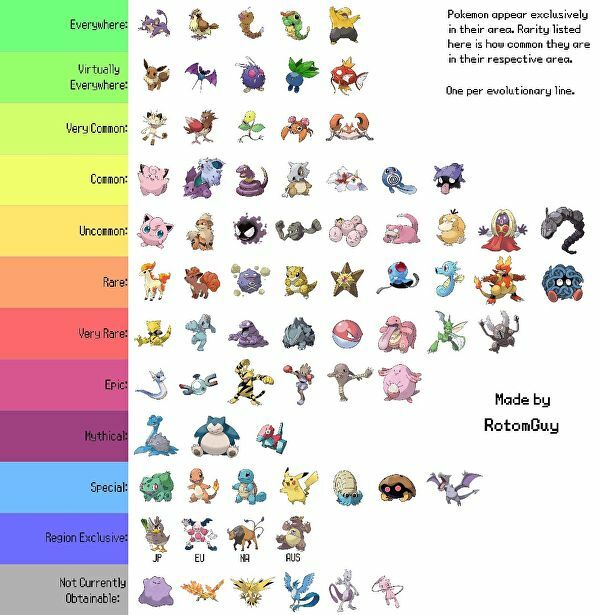 Reddit user RotomGuy created a helpful chart outlining Pokemon by rarity in the early days of Pokemon Go's release, and much of this still holds true now. While this isn’t a definitive list, based mostly on anecdotal and community-sourced evidence – some Pokemon will appear in some areas more than others, and you can read about such caveats and points. Hope you can catch the one rare Pokemon you want with the help of our guides.